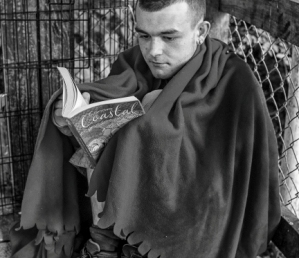 As you are aware the winter months are kicking in and we are looking to provide some emergency cold weather beds over the winter period, we can’t do this alone and are looking to our partners to help us provide these extra beds. A bed for anyone that needs one should the weather fall below or feel below zero on any night. 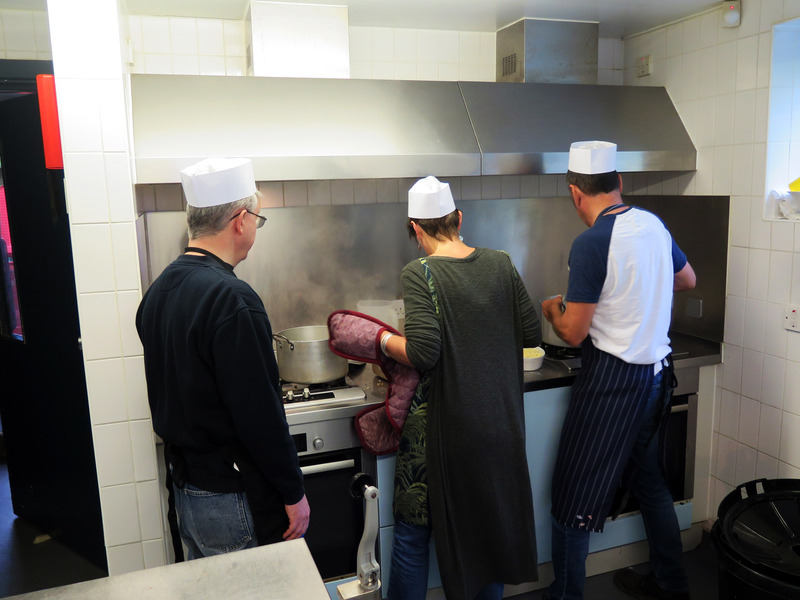 We will opening up at 7pm on a SWEP night and the shift will end at 7am Mon-Thurs and at 9am on a Sat/Sun night as we will provide a cooked breakfast as there will be no day service at the weekend. 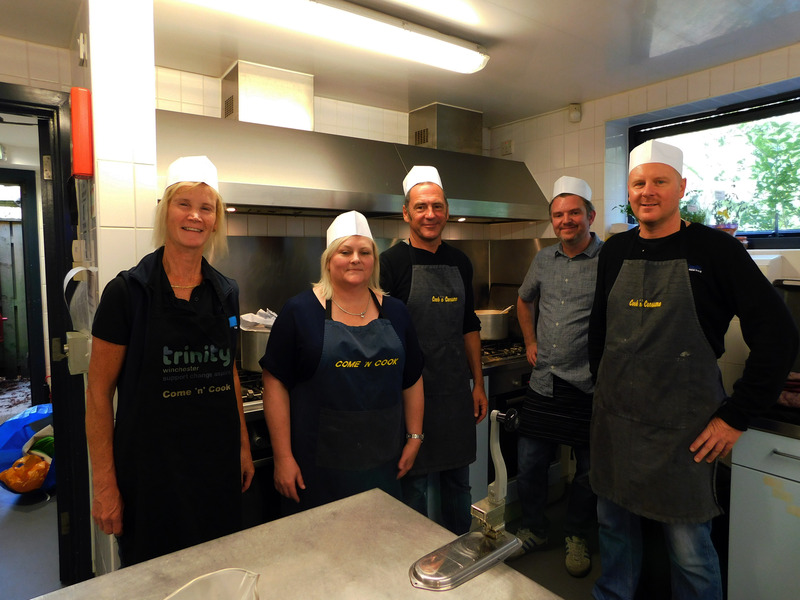 Trinity staff will be on duty every SWEP night and the second help will be a “sleep in “shift. 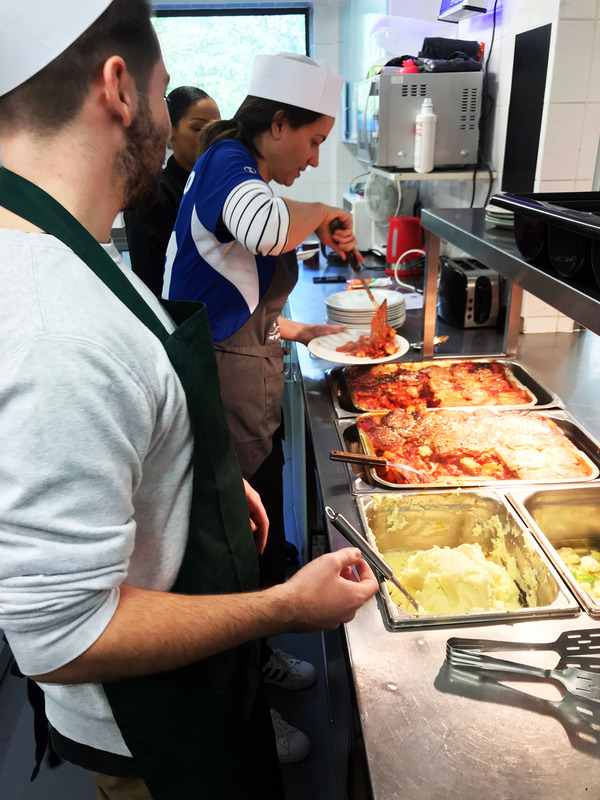 If you would like to offer to help for a night shift you will be given a private bedroom area and bathroom to use and you will be a sleeping support (on hand should the need arise bit otherwise free to sleep), during the evening you will be assisting the Trinity staff to help people settle in and helping to serve a light warm meal (it will already be cooked). 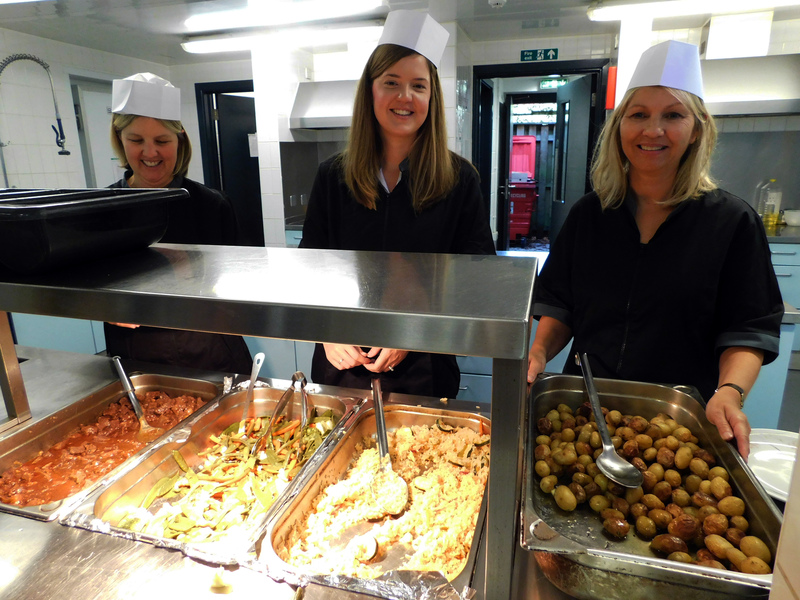 We would like to aim for one Trinity staff member and Two volunteers per shift if possible. Please do also send me an email on hannah@trinitywinchester.org.uk so that I will know how to contact you. We are governed by the weather so the plan will be that I do a weather check using BBC weather for Winchester on a Monday to determine the nights ahead that will fall below or feel below zero and then contact those people that have signed up for those dates and let you know that SWEP has been activated. We will be very grateful to anyone that is able to offer us some support during this time, so please do circulate this to your teams and anyone that you feel maybe interested, thank you. 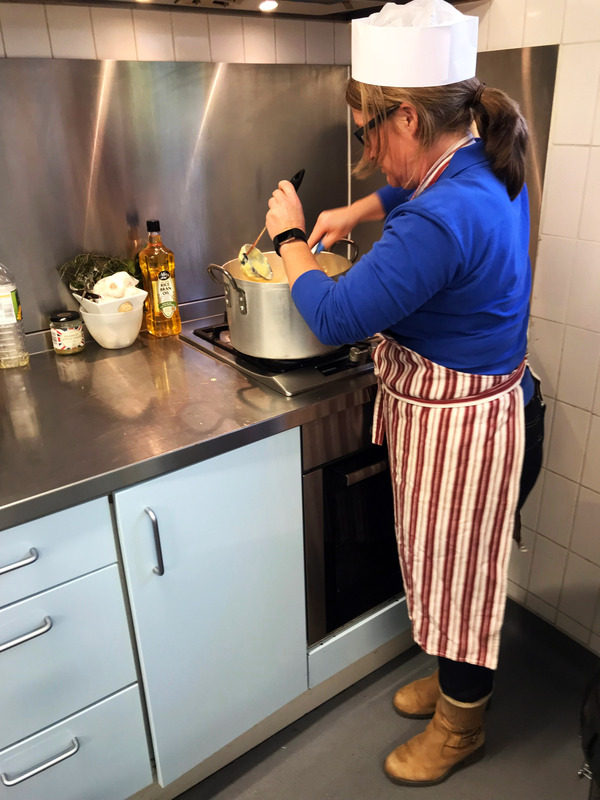 A huge thanks to Elanco who have joined us a number of times over October to cook for our clients bringing winter favourite recipes with them from cobblers to casseroles. 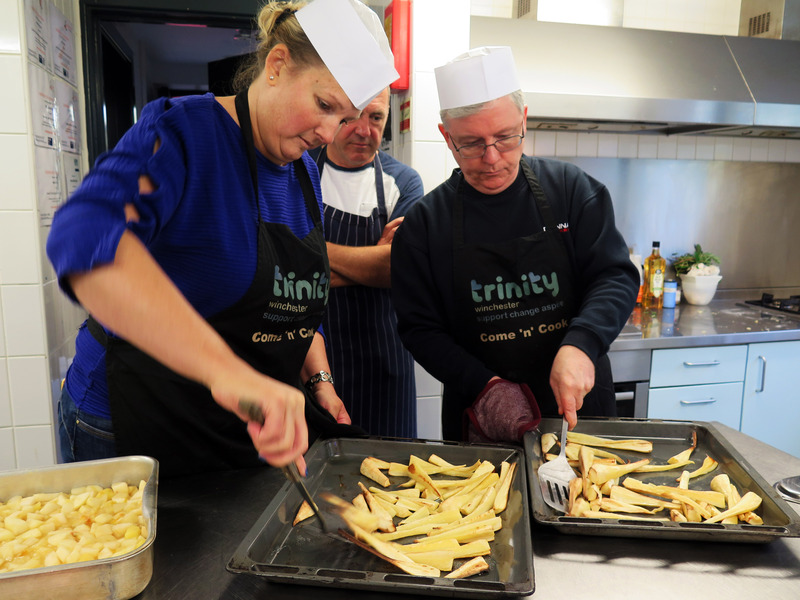 Trinity has been nominated for a £9,700 grant from the Aviva Community Fund and we need your vote! The funding will pay for extra sessions of our “Arty-IT” (computer design) and “Crafty Café” craft-making projects which are a great way combat loneliness and isolation whilst increasing confidence and self-esteem, reduced incidences of depression and improved mental health. By voting for our project (and you can vote 10 times! ), you can help us achieve this. Please take a look at the project and vote below. 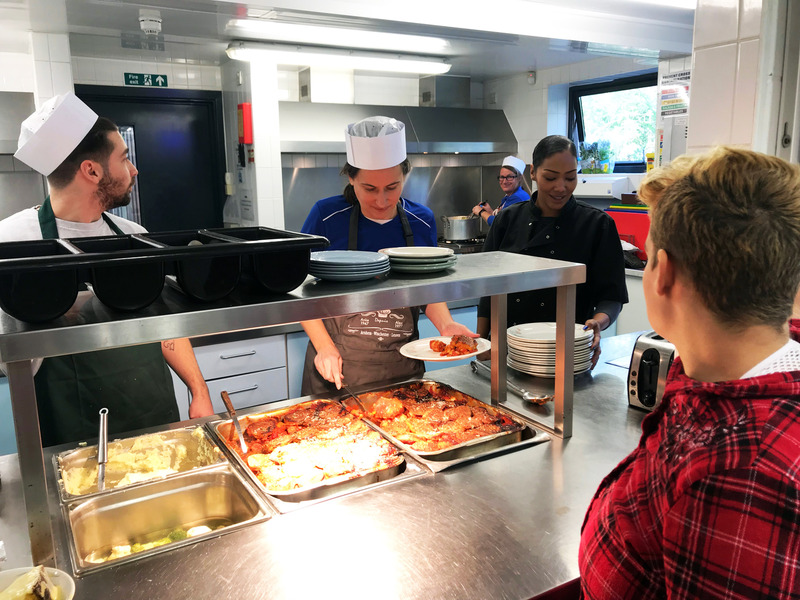 The Holiday Inn joined us for World Homeless Day on Wednesday 10th October bringing a selection of delicious dishes for our clients to enjoy. 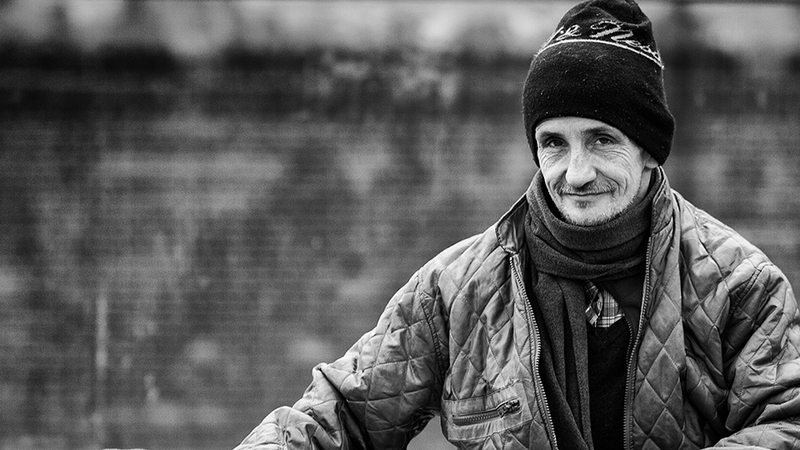 Thank you for joining us and for thinking of our clients on World Homeless Day. Trinity’s AGM is taking place on Thursday 8th November at 7pm. We would love many local people and businesses to join us, where you will have the opportunity to meet some of our clients and celebrate their success. The evening will showcase various projects and work achieved over the past year, including details on our planned accommodation project. 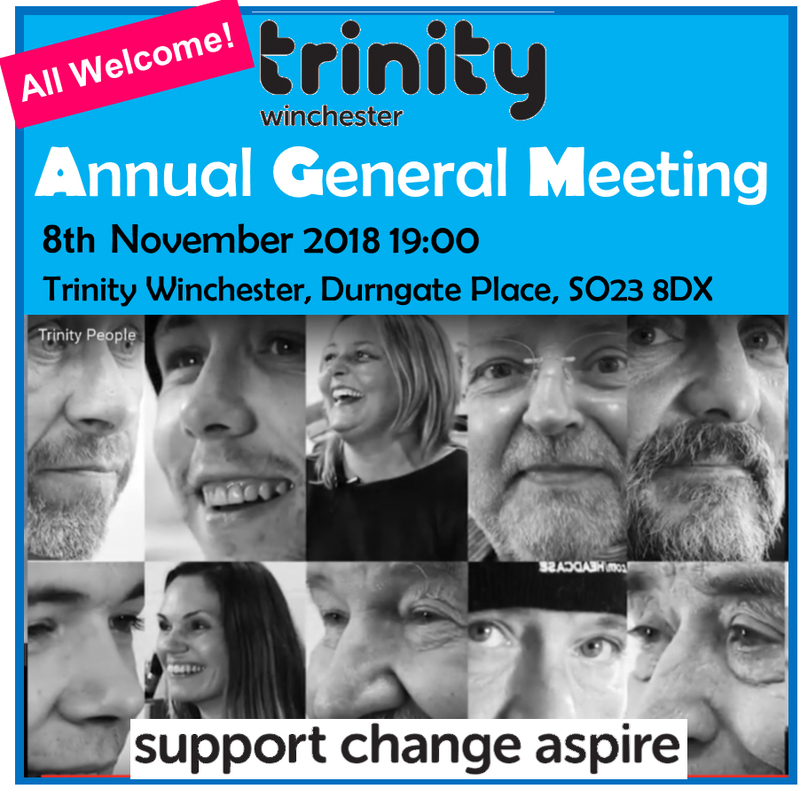 During the AGM, Mr Nigel Atkinson, Lord Lieutenant of Hampshire will be awarding Trinity with the Queen’s Award for Voluntary Service. Light refreshments will be provided. Please contact Sue McKenna to let us know if you can attend, or if you would like more information.